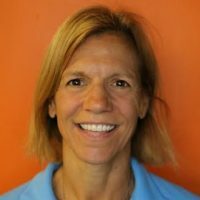 LISA CECCHI has been an AFAA certified personal trainer since 2004. She specializes in functional, sport-specific, and post-rehab training. She trains old and young alike and everyone in between. 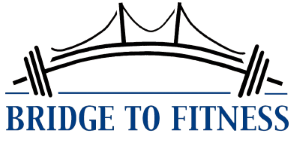 Whether you have a fitness goal such as a road race, triathlon, swim event, fitness test, Spartan, or if you are looking for general fitness and wellness, Lisa can help you reach your goals. Lisa also conducts a kids fitness class for middle school age children. In addition to eleven marathons, she has competed in several triathlons, Spartan, and other various-distance road races. She placed 3rd overall woman in the Quebec City Marathon, 2nd overall woman in the Mohawk Hudson Marathon (with a personal record of 2:58.28! ), and 1st overall woman in the Hampton’s Marathon. A collegiate swimmer who competed in NCAA championship events, Lisa attended the United States Military Academy at West Point and the University of Louisville, and received her MBS from Webster University. She is a mother of six, and is devoted to fostering impeccable overall wellness not only in her family, but in her community. Lisa’s goal is to help you do your personal best, whether it is to get ready for a race or to help get back on your feet again after rehab.